The Syrian conflict was lit in Feb. 2011 after the arrest of children in the city of Daraa for anti-government graffiti. Allegations of torture were rife. Protests spread, as did the violence, and soon a full blown uprising was underway. Aleppo became a center of the resistance, and both the government and opposition began taking young men off the streets to fight. Ahmed was left with a stark choice — kill or be killed. “Even if they are the government, he is a human; I don’t want to kill him,” he said. ▲ Ahmed hopes to make Jeju his permanent home. The family decided in Sept. 2012 that he must flee the country with his younger brother. Ahmed’s brother got to Korea first, arriving via Lebanon. After two months of scraping money together, he helped buy Ahmed a ticket. “At that time I had no idea about Korea, but anywhere was better than Syria,” the former computing student said. He came straight to Jeju, where his brother was job hunting, and although his sibling eventually opted for Seoul, Ahmed stayed. “Slowly I learned how to live here,” he said. Ahmed was eventually granted humanitarian status (G-1 visa) in April 2013. This allows him to remain, not with the peace of mind of refugee status, but as an individual the Ministry of Justice deems, “cannot safely return to their home country.” It was extended until Oct. 2013, and then April 2014. He found work in a restaurant, but in the evenings, returning to his room, he “remembered everything,” and was anxious about the whereabouts of his family. He soon heard the news his 5-year-old and 12-year-old cousins had died in a bomb attack on his uncle’s house. Identified as Crohn’s disease, believed brought on by stress, Ahmed lost his job and spent weeks in hospital. Help finally came through a local Christian NGO, a one-off fund from the Jeju Immigration Office, and a bout of fundraising from Jeju’s international community. Facebook was the catalyst for the latter, thanks to Canadian Ali Shaker, whom Ahmed contacted after spotting an “Arabic-looking name.” An appeal was made through the group “Jeju Island Social,” popular with Jeju’s international community. A charity football tournament was then held with funds raised supporting his hospital bills and living expenses. “In Jeju everyone is lovely, really,” said an immensely grateful Ahmed. It would still be five months before he had his strength back — “I was still too sick, I couldn’t work” — but it seemed he had turned a corner. His friend then found him work at another restaurant, and he has now been there for seven months. Physically weakened and traumatized, his inner strength and self-belief have grown. “I feel like I can do anything now, learn any language, learn how to do any work ... I can talk with people who are powerful, not like before ... I can speak now,” he said. Although he is still vulnerable, not knowing where his future lies, things are slowly getting better. He now knows his family are safe, having fled to Turkey along with over 1 million other Syrians. His work situation is also now clarified after a 2013 law granted individuals with humanitarian status the right to work. In the meantime his visa was also extended, first to Oct. 2014, and then he was called into the Jeju Office of Immigration in July. He didn’t receive the refugee status he desired, but he was given a 12-month extension until July 2015, a brief respite before the uncertainty of reassessment next year. Ahmed says he remains faced with crippling hospital bills as he is not able to receive National Health Insurance on his G-1 visa. 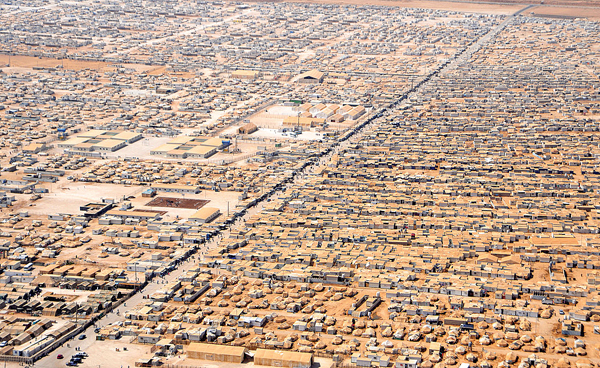 It is a legal limbo many Syrians have found themselves in as conflict has engulfed their nation. The main international instrument of refugee law, the Convention on the Status of Refugees, requires individuals to document a “well-founded fear” of persecution against the individual. Conflict alone, no matter how deadly, does not suffice, something the UNHCR says is not acceptable in this age of conflict. Developed countries have been urged to “increase their quotas” for resettle-ment, with 100,000 needed worldwide. In Korea, Ahmed is one of 600 Syrians with humanitarian status. Just one fellow national has refugee status. Some nations have been more proactive. Sweden has so far accepted 30,000 Syrians as humanitarian refu-gees, permanently. Germany has agreed to double its quota to 20,000, while Austria is to triple its to 1,500. The UK has been criticised for its belated and limited vulnerable persons relocation program, as has the US. Until the 2013 law speeded up proceedings, asylum seekers had to wait up to four years and could not work in that time. Most are now assessed within a year with refugees having access to basic welfare, as do asylum seekers in their first six months, being able to work thereafter. As Korea’s global status rises, so do its responsibilities to the world’s most vulnerable. At a time when the world has more refugees than at any time since World War II, it is imperative Seoul acts. And if Seoul won’t, why not Jeju Free International City? What a message this "special" pro-vince, currently with zero refugees but a handful of asylum seekers, could send to the world by opening its arms and giving Ahmed, and others like him, a secure, or even permanent, home. Ahmed certainly wants to make Jeju home. “I think I am lucky to live in Jeju because it is a beautiful island. I was lucky to come here, so I will try as hard as I can to stay,” he says, adding it is his dream to one day further his studies and even apply for Korean citizenship.